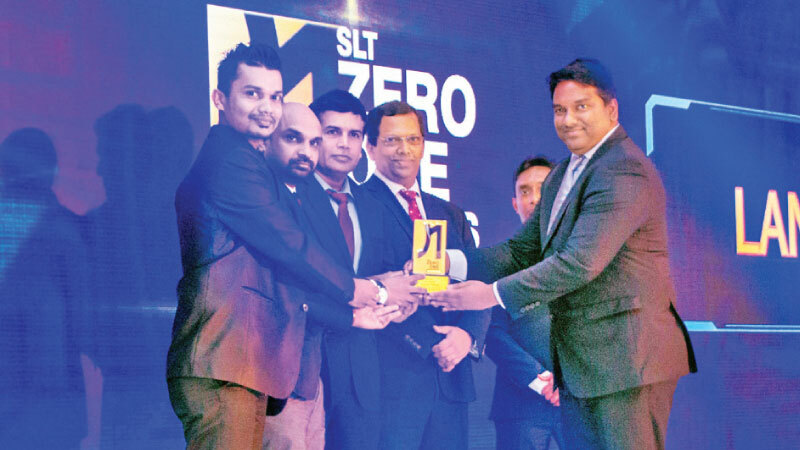 Lanka Property won the Best Digital-Integrated Campaign award for 2017/2018 at the SLT Zero One Awards. The SLT Zero One awards is devoted to recognizing institutions, individuals and brands that harness technology to achieve great heights in their chosen sphere. Lanka Property Web was founded by Daham Gunaratna in 2007, amidst much skepticism if a local property website could engage customers via a single digital platform. Without underestimating the capacity of people to embrace technology to fulfill their needs, the site has harnessed innovate technology and solutions to provide a service that added value, is efficient and effective. LankaPropertyWeb offers free and flexible digital platform to landlords, property owners, agents and buyers to advertise their properties for free and for prospective buyers to meet them online. The SLT Zero One Awards identified the innovation, effective execution and outcomes which the website has delivered based on an effective marketing and communications campaign that engaged numerous stakeholders.LankaPropertyWeb tapped into all segments including non-newspaper readers, expatriates and foreign real estate investors, bringing them together with local partners; exclusively on a virtual platform. LankaPropertyWeb is one of the most visited real estate websites in the country with the highest number of real estate advertisements from houses, apartments and land for rent, to properties for sale or lease. By December 2017, the Company had achieved growth of 22% in the total number of visits compared to the previous year to 1.94 Million users with greater time spent on the site. This is also due to the enhanced and innovative features on the site with people deriving more benefit from its use. Over 61% of advertisements have generated leads, whilst 54% of advertises state they sold or rented their properties through LankaPropertyWeb.